The long and fruitful relationship between our beautiful old uncle Kazuo Umezu and indie/art apparel company BEAMS continues! 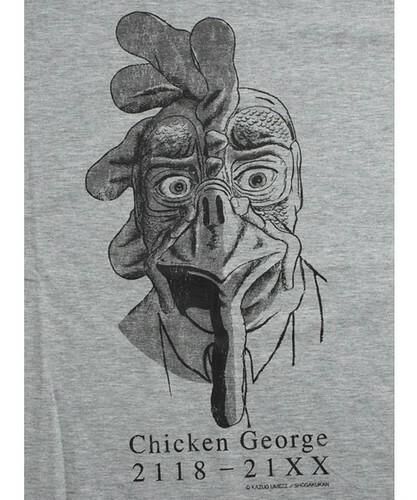 Since our last post, two more Kazuo Umezu x Otooto22 shirts have been released. 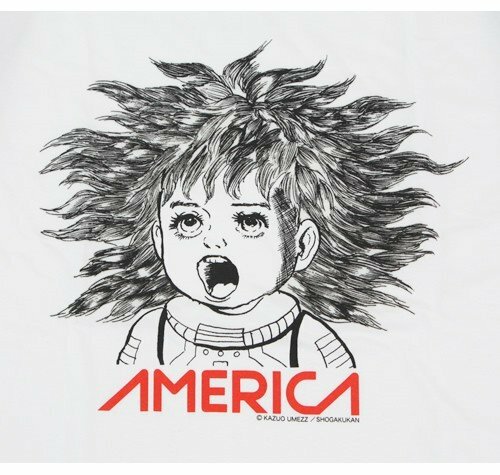 The first is a nutty "AMERICA" design by Umezz, which features glow-in-the-dark ink for the hair. THAT IS AWESOME. 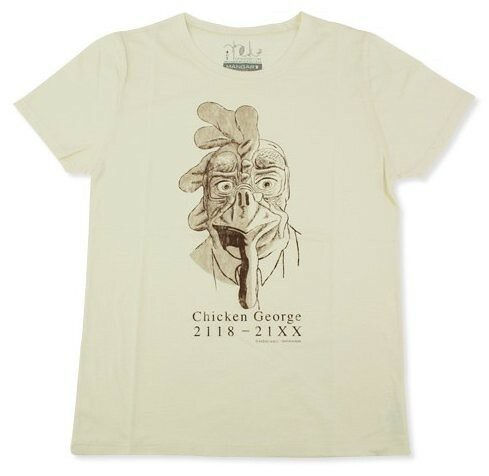 An older but equally amazing shirt, BEAMS has released a Fourteen (14歳) t-shirt, featuring the fucked-up CHICKEN GEORGE! Both shirts can be purchased only in Japan, and retail for around $60. I wish they weren't Y6000 otherwise I'd be all over these. @Laika: Most definitely. They are all pretty wild. @vogdoid: I wonder if they came and went or just haven't hit the shops yet? These are the newest two-- i think the AMERICA one was just announced over the weekend? i want that AMERICA shirt so bad. and im not even "into" clothing! damn that honestly is a smart marriage of great umezz art with beautiful art direction for shirts, love 'em both! It's hard to get some decent manga or anime inspired shirts that don't sound off the nerd alarm, the only ones I've been able to wear proudly call come from UNIQLO, buy now, even those seem to be vanishing off the shelves of the very store here in NY... woe is me! @Scotty: Definitely, they are badass! @Giannis: It's brilliant. Even better if you're a European! @Alex: Definitely-- it's a good mix. Beams employs the design firm Otooto22 to do the Umezu stuff.